This week I got a wonderful surprise when Mr. Racks sent a notice that they were testing a new camera on Freeway Osprey’s nest. It was just a sneak preview of what their new equipment will do but the best part was seeing a baby osprey. That is right!! 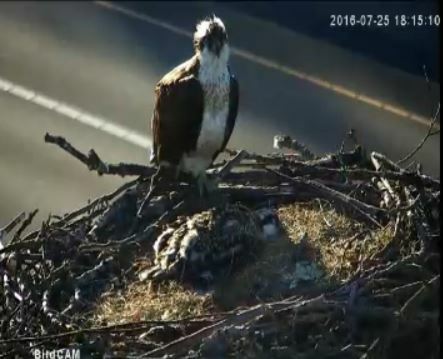 Our Freeway Osprey (or as Mr. Racks call them “Seahawks”) have a baby. Last year it was three but this time only one has made it. After reviewing the 12 minute test video on the link below I am pretty sure they only have one and no more will hatch. This baby is fairly large and the parent is sitting on the side of the nest versus sitting on another egg or two. So, what did I do? 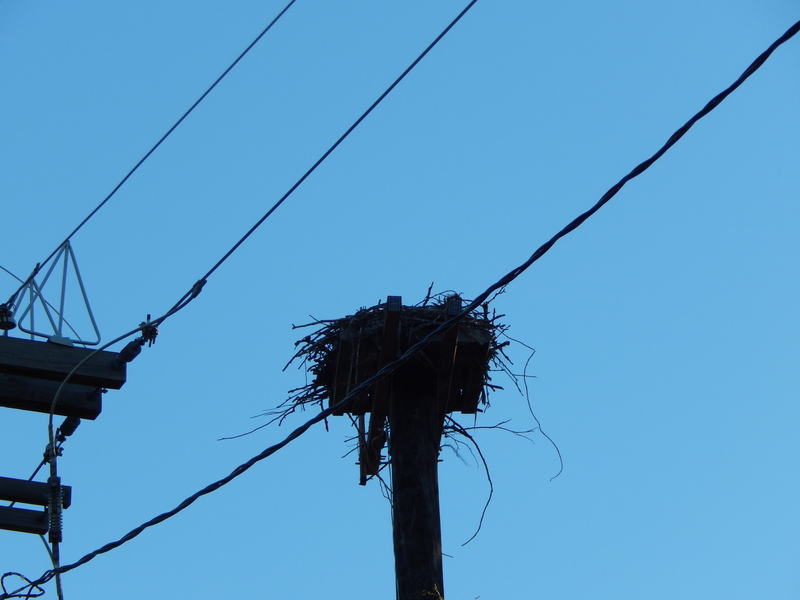 I went by the nest on Thursday morning to see how the nest looked from below. This new video is obviously not from the old post on the side of the nest. 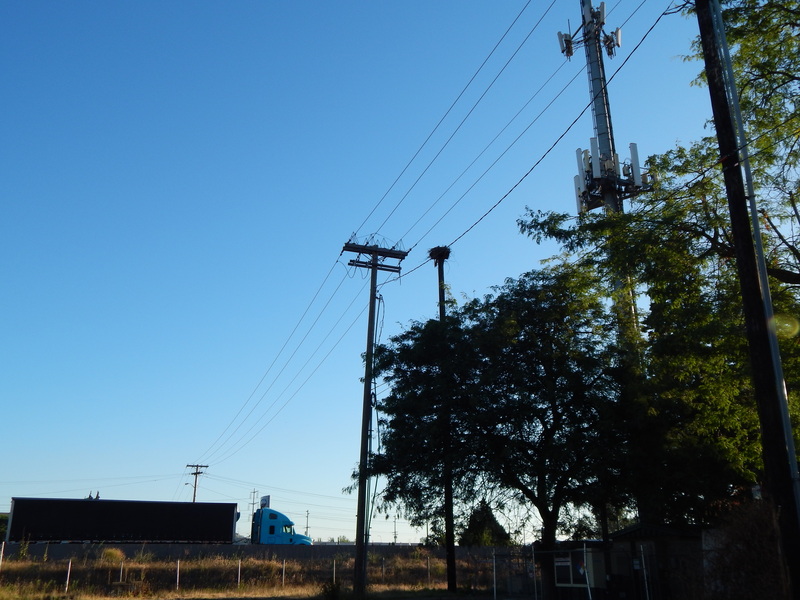 The test showed the freeway below and zoomed out from the whole structure. The clincher is you can see the old camera on its post in the photo above. This was not some old stationary camera. At first it was not obvious where it was. 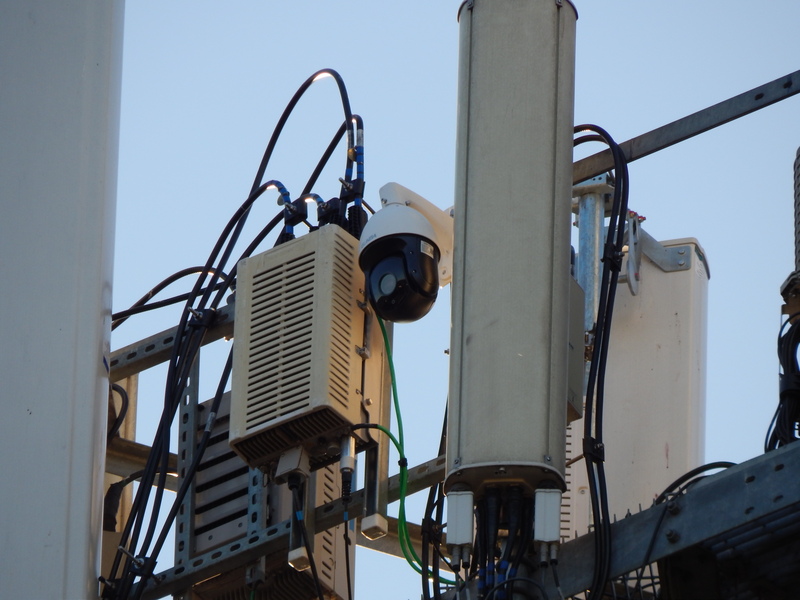 Then after using my camera as binoculars, I found it on the cell tower. What a great partnership Mr Racks has made with the owner of that tower. Steve at Mr. Racks told me that they still have to stabilize their power source so as of today we only have the sneak peek into the Freeway Osprey’s nest. Just enough to tease us and make us yearn for more.